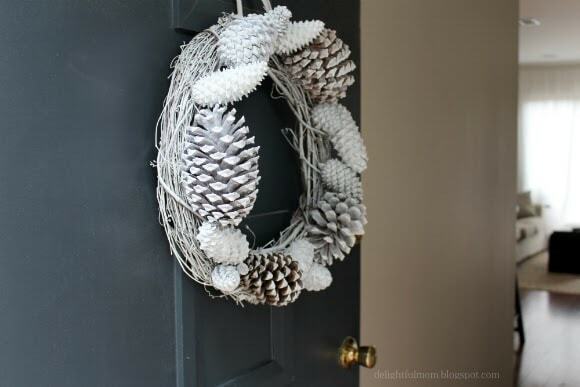 DIY with this inexpensive Winter White Pine Cone Wreath! 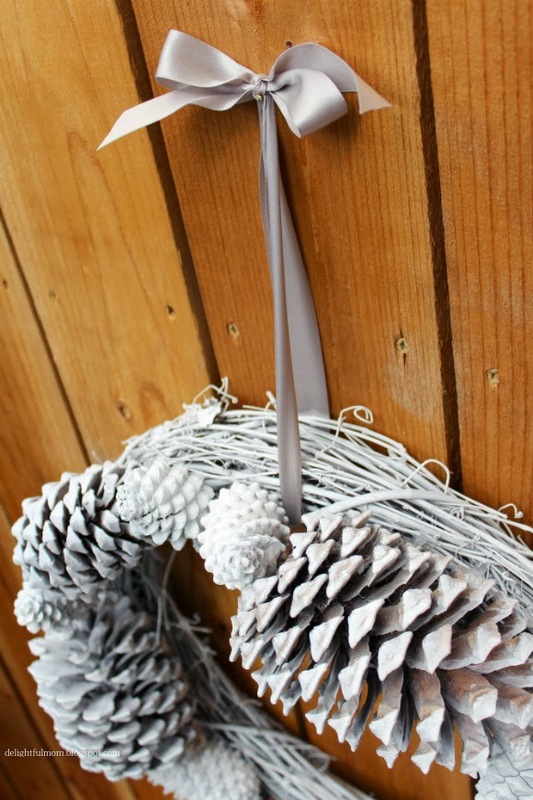 It is a great activity to make with the kids and look how pretty it compliments a front door or back patio. 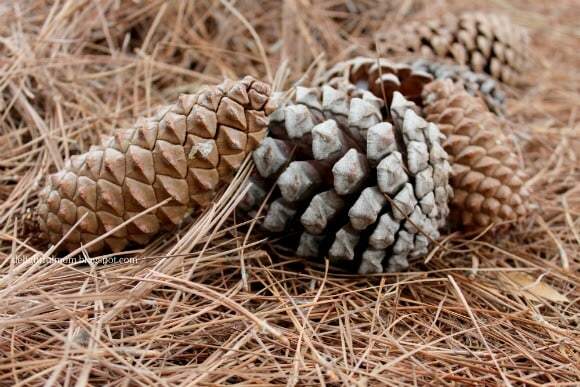 If you follow me on Instagram, you will seen us going on our mad pine cone hunt recently. 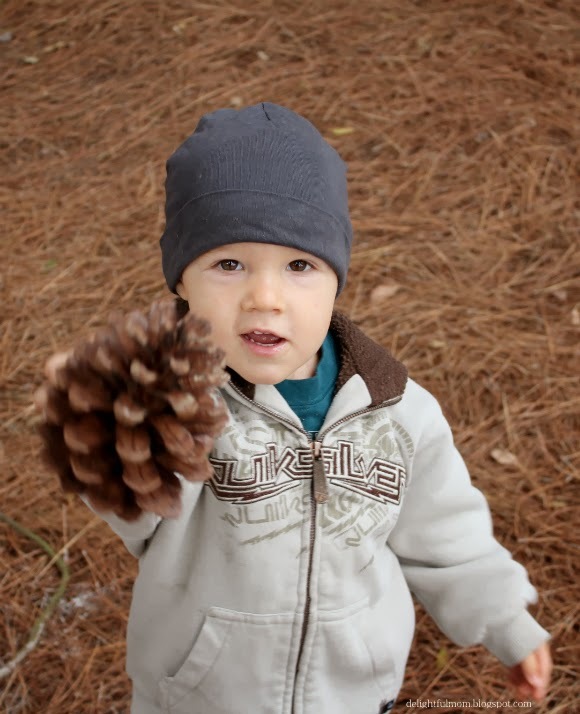 Our local park is filled with pine trees and Chase thinks the cones on the ground are just the coolest objects right now. 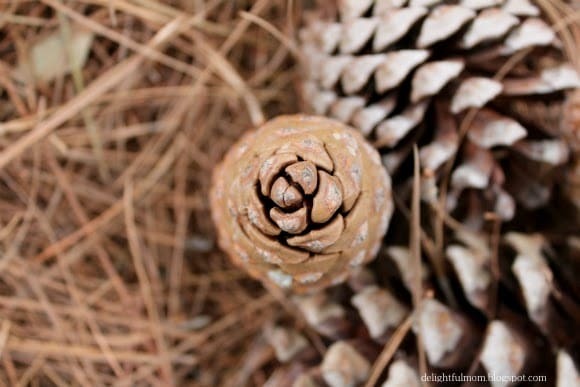 Pine cones have slowly been coming home with us each time we leave the park so I decided we should put them to good use and make a wreath. 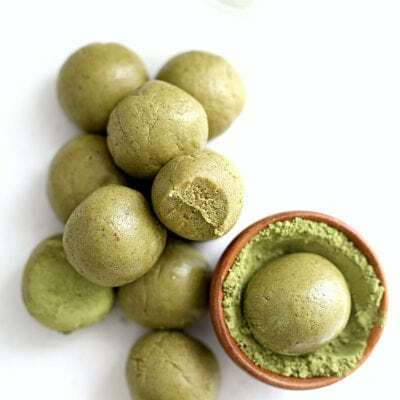 We gathered various version such as tiny baby ones, ones that are still closed and large ones that are fully open and developed. 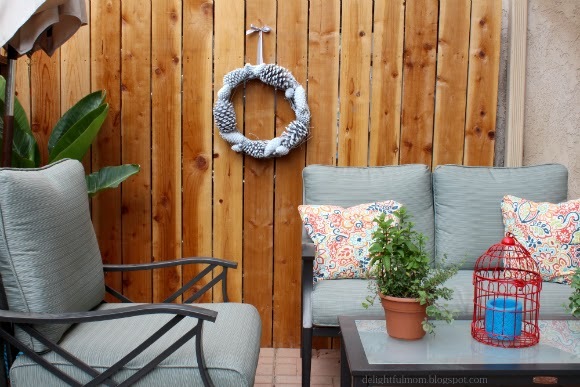 Using different sizes and textures will give your wreath charm. 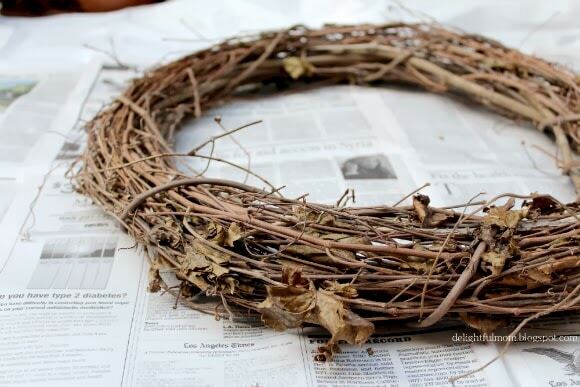 We purchased a plain grape vine wreath from Michael’s Arts and Crafts for a whopping $5 and a can of flat white spray paint. 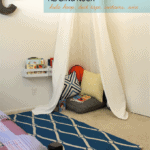 I used a coupon for the paint so this project costs us only about $10! 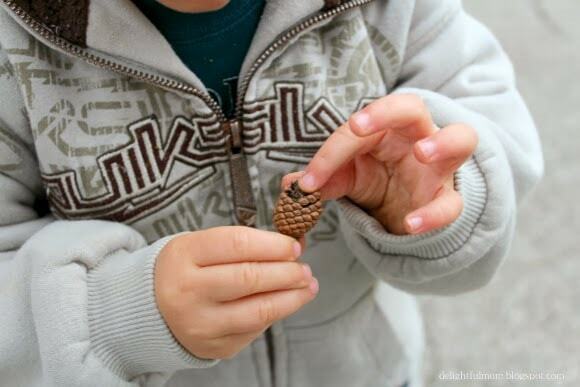 Have your kids paint the pine cones, sprinkle with glitter and help glue your wreath together! 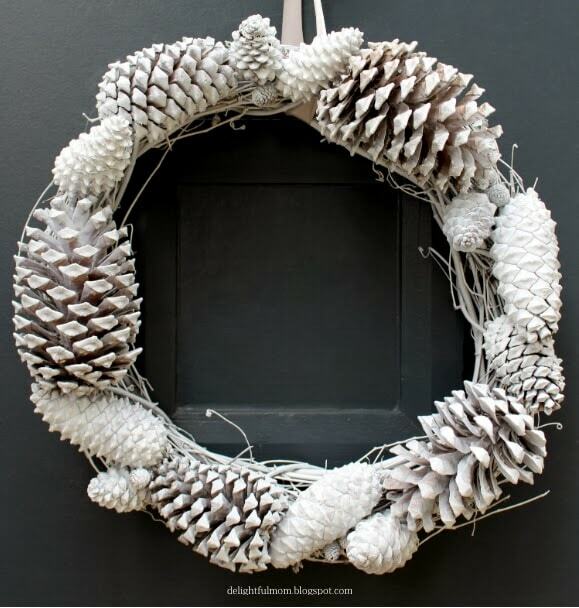 Spray paint wreath and pine cones white. 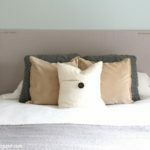 Sprinkle glitter while the paint is still wet and let dry. 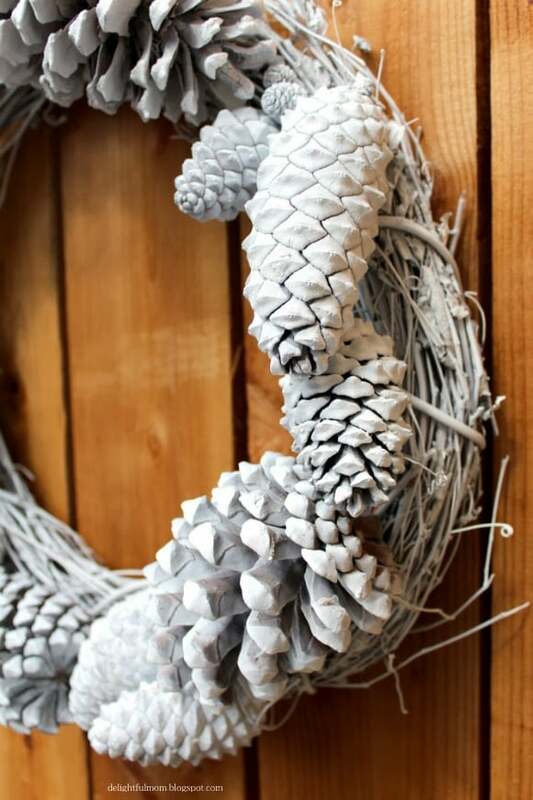 When the paint is dry, glue the pine cones around the wreath (I kept our pine cones going the same direction around forming a circle). 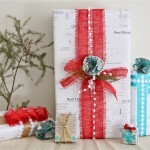 Fasted your ribbon around the top and tie together in a bow.